Garlic Scapes are the young tender edible flower stalks of the garlic plant. Because garlic plants are cultivated for the bulb, growers often remove scapes to push the plants' energy toward bigger bulbs. Since farmers are always trying to be creative with their resources (and find more marketable products from their hard labor), garlic scapes have been showing up more and more at local farmers markets and in CSA shares. Since everything can be trendy, even a vegetable, scapes have now found their way into gourmet food magazines, blogs, and fine dining establishments. At this point garlic scapes have really become a crop in their own right! What to do with them? We say when life hands you garlic scapes, make Garlic Scape Relish! We wanted to create a product to preserve scapes, and today we are introducing our Garlic Scape Relish, which can be used in any recipe that calls for a traditional pickle relish. Mix it into egg salad, potato salad, & use as a topping for hot dogs or veggie burgers. 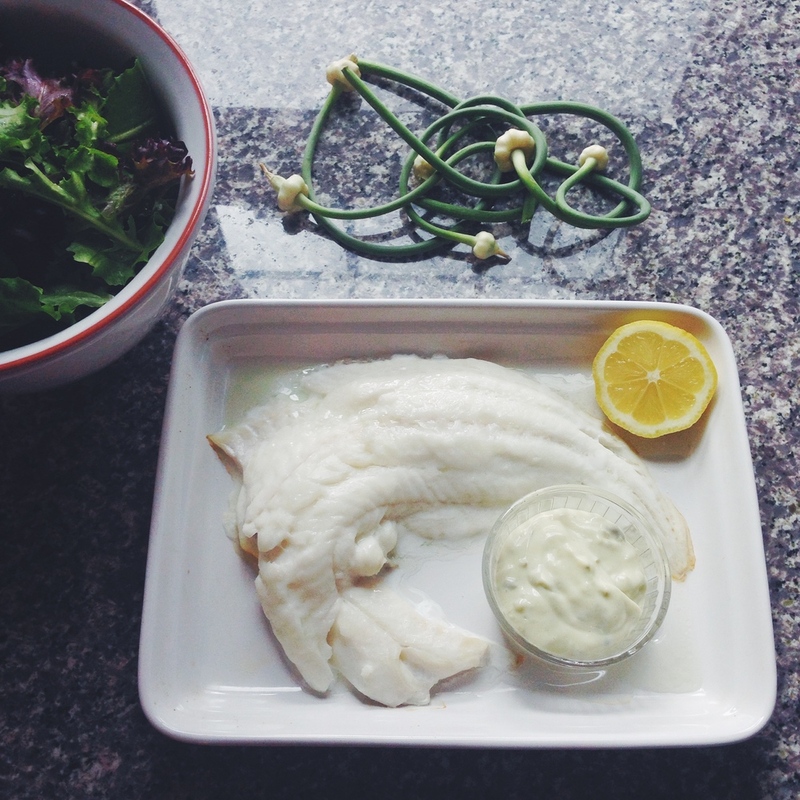 For our lunch today, to accompany a baked Haddock, we are going to make a tarter sauce by combining homemade mayonnaise with our relish. As the popularity of scapes continues to rise, so will the creative recipes available! If you find yourself with a bundle of scapes, you could try Tempura Garlic Scapes with Garlic Scape Aioli or Garlic Scape Pesto. Enjoy! 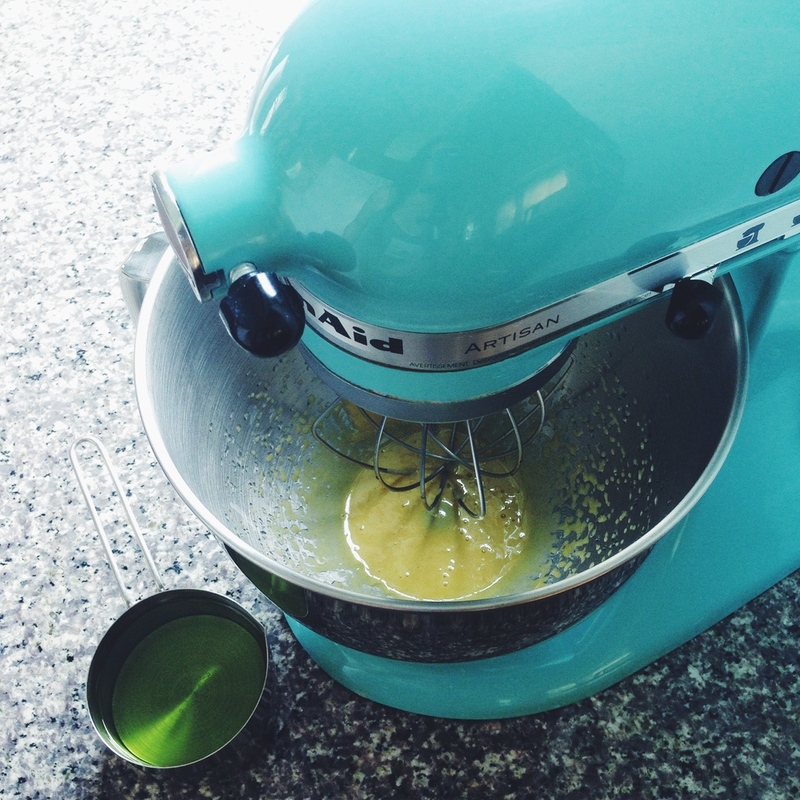 Put the whisk attachment on your mixer, or whisk by hand. Combine egg yolk and dijon mustard, begin whisking at medium speed. Add one drop of oil, continue whisking for 10 seconds, repeat 5 times. In a long steady drizzle, add remainder of oil, and continue whisking until the mayonnaise forms a stiff peak. 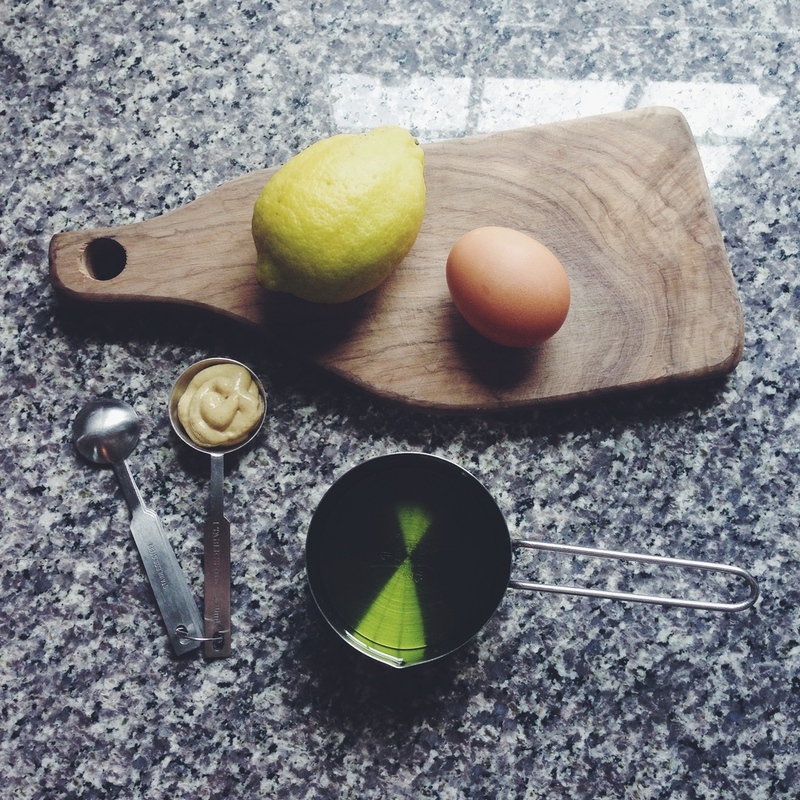 While whisking, add lemon juice by the teaspoon, until you find your desired consistency. For thick mayonnaise one teaspoon will do. Mix together mayonnaise and relish. Cover and place in refrigerator for at least 1 hour before serving. If using fresh mayonnaise, sauce keeps for up to 3 days. If using store-bought shelf stable mayo, sauce keeps for up to 1 week in refrigerator.